Italy (Florence); Middle 15th Century. Latin Text; Rotunda Gothic Script, square notations. 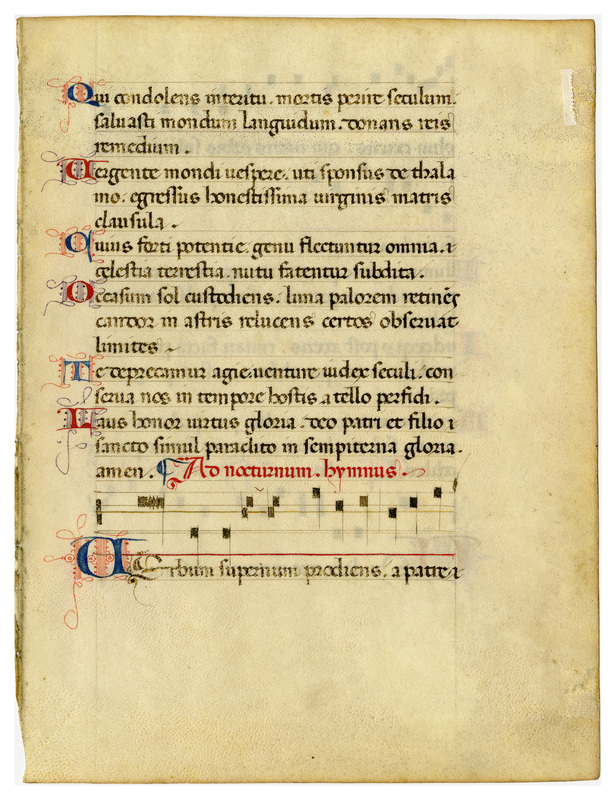 A Gradual contains the appropriate antiphons of a mass sung by the choir of the Latin Church on Sundays and special holidays. The text was furnished largely by the 150 Psalms and the Canticles of the Old and New Testaments. The superb example of calligraphy in this leaf illustrates the supremacy of the Italian scribes of the time over those of the rest of Europe. It is frequently assumed that this late revival of fine writing may have been caused by the concern of scribes over the impending competition with the newly invented art of printing. The music staff still retains here the early 12th century form with the C-line colored yellow and the F-line red. The four-line red staff had been in use for over two centuries before this manuscript was written. A very attractive feature of the decoration is the fine penwork in the flourishes around the Lombardic initials, including a delicate purple. Some leaves from this manuscript retain visible follicle evidence of a piebald skin source. 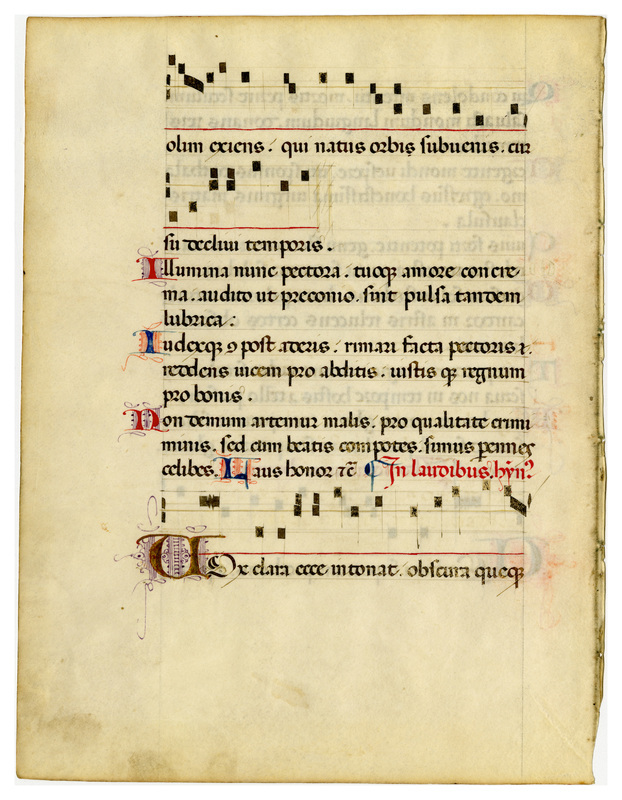 “E0032 Leaf from a Gradual (Graduale),” Digital Exhibits | Denison University Archives & Special Collections, accessed April 23, 2019, http://exhibits.denisonarchives.org/items/show/52.